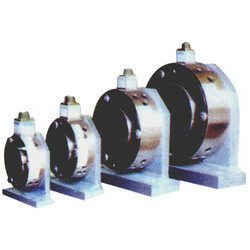 Leading Manufacturer of load cells from Ahmedabad. We offer a comprehensive range of Load Cells to our clients for application in the packaging industry. These cells are specially designed for high quality super precision compression. Our range of Load Cells are manufactured using state-of-the-art machines and latest technology. We thoroughly check are production at every stage to ensure that the quality of our range of products. These Cells meet international standards of quality and are widely appreciated for the following features. Optimum performance and long life. Compact designs are also responsible for their popularity among clients.